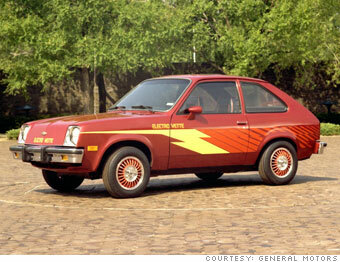 The Electrovette was considered for serious production if gas prices went high enough to warrant it. "In this case we got serious," said John Berisa, a GM engineer who worked on Electrovette and other electric propulsion programs. GM was seriously looking at bringing this car to market, he said. Displayed at auto shows in the mid- to late 1970s, the Electrovette was developed in case gas prices rose quickly to $2.50 a gallon, as GM economists expected. That would have been about $8, in today's prices. At the time, GM said it expected to have electric cars in production by the mid-1980s and up to 10% of its sales could be from electric cars by the 1990s. "We ran this for about three-plus years," said Berisa. "The $2.50 a gallon gas never happened."